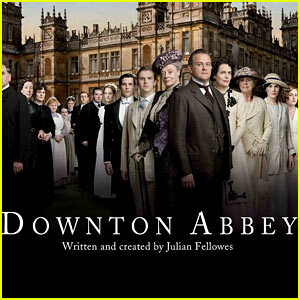 'Downton Abbey' Renewed For Fourth Season! Great news Downton Abbey fans: the series has been renewed for a fourth season by its home network, Britain’s ITV, according to THR! The third season of the period costume drama recently finished up with a record high viewer season finale at the beginning of November, and has yet to air in the US. The series stars Maggie Smith,Elizabeth McGovern, Michelle Dockery, Brendon Coyle, Hugh Bonneville, Joann Froggatt, Jessica Brown Findlay, and many more. On Christmas day, Downton fans will get a special two-hour episode!!! I loved season one, but was disappointed with season two. Hopefully, 3 and 4 will be much better than two. My mom didn't like season 2, but season 3 was much better. Oohh this makes me very very happy! Love this show so much. Just about to start watching season 3! Still can't wait to see season 3 though. When are we getting season 3? I don't watch much Ch7 so I haven't seen any promos. ETA: Never mind, google is my friend and tells me it doesn't start until February. So I guess Santa is giving you the DVDs? Downton went a little OTT with the melodrama in season 2. Here's hoping it levels out in season 3. What is the matter with you people? Don't tell me it's my fault. I don't watch tv, I'm a movie watcher. Out of all the reality crap out there and all the blood and violence on cable series', there's something on tv that I would so get hooked on - this show - and nobody told me. I'm an original Upstairs Downstairs/Brideshead freak. Geesh. Dame Maggie and Shirley is coming?? I'm not speaking to any of you because I'll be watching all of them on Hulu to catch up. Non-UK Peeps stop reading NOW!!! UK Peeps.... check this out!!!! After a reasonably positive finale for this year's series of Downton Abbey - Carson is outta prison, Lady Mary is fertile again, Matthew Crawley can STILL walk (miraculous!) and Lady Sybil's chauffeur widower seems to have finally been accepted by his father-in-law - fans might be hoping for a little more drama this time round. And, looking at the trailer for the Christmas special, they're not going to be disappointed. Yu-huh, it looks as if Tom could be about to find love with new maid Edna, played by Swedish actress MyAnna Buring. His wife hasn't even been dead a year, so we imagine there'll be a lotta dispute from the Grantham family over this - not to mention a new class dispute between the former chauffeur-turned-gentleman and chamber maid. The episode will focus on the Granthams heading off on a festive trip to Scotland (taking tips from Queen Elizabeth II , are we? ), which also means we'll get a little bit more action from husband-stealing flapper-dancer Lady Rose - and being as she's been forced to Scotland by the formidable Dowager, Maggie Smith, we can't help but wonder if revenge is on her mind. In the meantime, there's plenty of lovey-dovey action for us all to enjoy, with Robert and Cora locking lips, Mary and Matthew getting tender, a possible romance for Lady Edith (please God let this one last!) and a new beau for Mrs Patmore, overlord of the kitchen. Even Anna and Master Bates look like they're going to be getting some serious couple time in - just check out those lingering glances over the picnic basket! Throw in the servants defying Carson in a bid to visit the local county fair, the possibility of Matthew and Mary's rumoured departure to be discussed and the question of O'Brien's involvement in the miscarriage of Lady Grantham hanging in the air - Thomas dropped the loaded hint of "bath soap " in the season finale - it seems as if Fellowes has plenty to entertain us with this Christmas . Will you be watching Downton Abbey on Christmas Day? Yass!! I can't believe how much I love Downton, I was quite resistant to it but it's really brilliant. I soooo hope Edith gets swept off her feet. And I miss Sybil. They filmed the Christmas special at Inveraray castle, so you all have to watch to see ma 'hood! I haven't seen Season 2, but hopefully that will change in the next few days and then I can watch Season 3 when it comes on in January. My dad told me to watch it for the costumes (he knows me very well!) I resisted due to the hype but he was right. Waterside - my mother said that S2 was poor, but don't give up as S3 was v good.